Lucinda Russell was in sparkling form at Ayr Racecourse’s New Year Festival on Wednesday and Thursday of last week, saddling four winners. The Perth-based trainer got off to a terrific start on Wednesday by landing the first three races. Green Flag (5/6 fav) won the EBF/Follow Us On Twitter@BetVictorRacing Novices Hurdle with Peter Buchanan riding, and the same combination were successful half an hour later in the Get The BetVicfor App Maiden Hurdle with Imjoeking (7/2). Lucinda made it three when the JP McManus owned, AP McCoy ridden Tap Night (4/9 fav) was an impressive winner of the Download The BetVictor Spincast App Now Novices’ Chase. And on Thursday Scotland’s leading jumps trainer returned to the winner’s enclosure with No Deal (5/4 fav), ridden by Peter Buchanan landing the opening maiden hurdle. 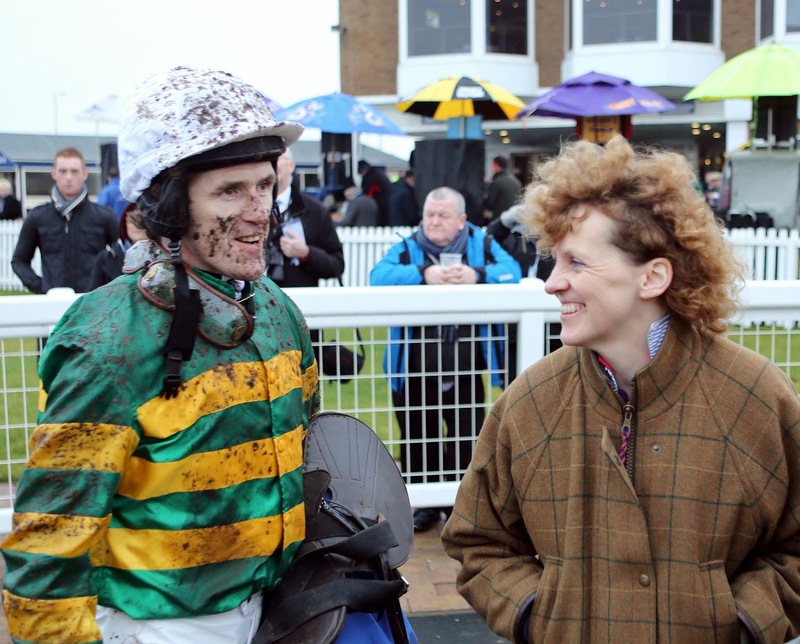 AP McCoy made his Wednesday visit to the track one to remember when following the success of the aforementioned Tap Night with two more winners both for Irish-based trainer James Lambe. The champion jockey was immense getting Forestside (16/1) up to win the three and a half mile handicap hurdle from the 9/4 favourite Talkin Sence and then completed his treble with Seader (4/1) in the BetVictor Non Runner Free Bet At Cheltenham Handicap Hurdle. Wednesday’s feature race, the BetVictor.com Handicap Chase went the way of Desert Cry (5/4 fav) for trainer Donald McCain and jockey Jason Maguire while the main event on Thursday, the BetVictor.com Handicap Hurdle was won by Pas Trop Tard (11/4) in the hands of Michael McAlister for trainer Maurice Barnes.